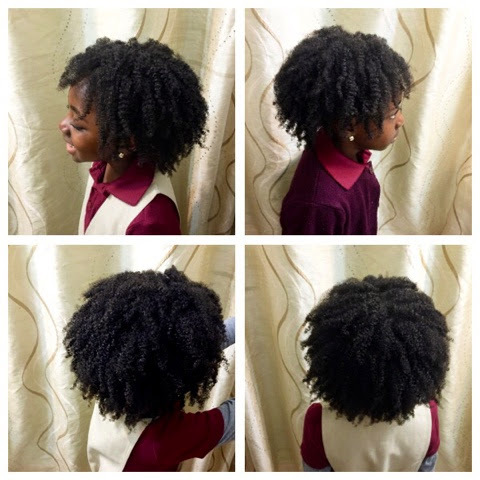 I really like the Shea Moisture Products for kids. The stuff is just perfect for her texture. It always leaves her hair soft with definition. This Twistout is from the twists shown in the last post. My intention was not to create a twistout. 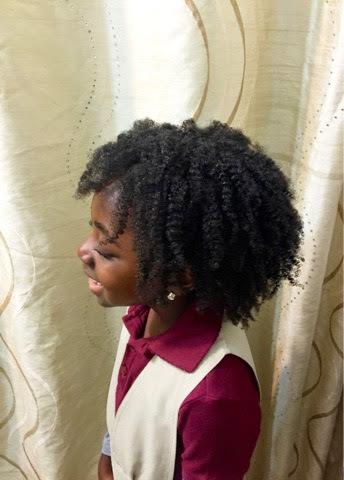 I had only moisturized her hair with the butter cream and left her hair in some medium-sized twists. But since I massage her scalp, her twists get frizzy. I have issues with frizzy twists sometimes so I decided to unravel them. I rarely leave her hair out anyway so it's okay for her to enjoy her curly fro, which she loves!!! Lovely!!! I just started using the SM Kids Curling Butter Cream and to my surprise I am really enjoying it!